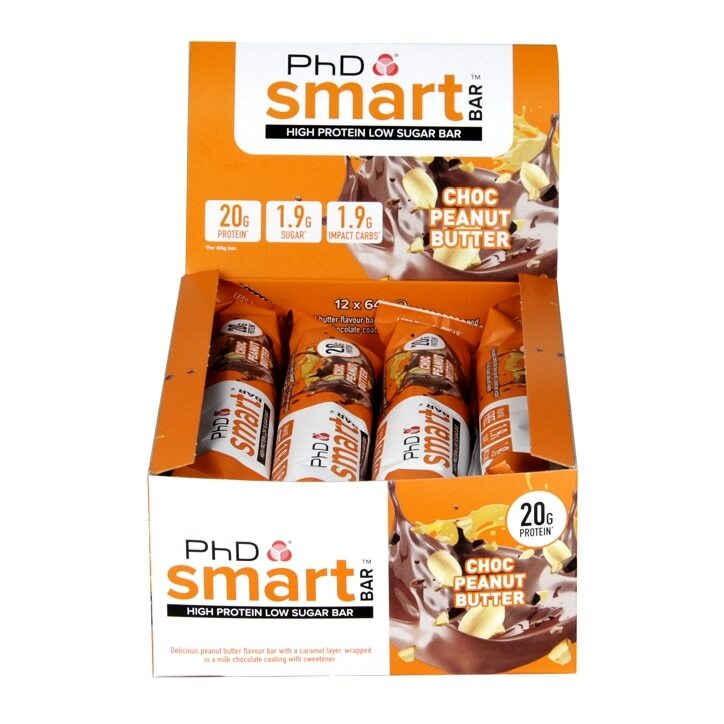 PhD Smart Bar Chocolate Peanut Butter is rated 4.7 out of 5 by 15. Rated 5 out of 5 by Findo from The one to buy Tried lots of protein bars, but these are the best. Taste like a real treat. Rated 5 out of 5 by markpjd31 from Great texture and taste The chocolate has a creamy taste, the centre has a crisp wafer centre and is surrounded by sticky caramel filling. It has a chewy texture, which I like! Given this without a wrapper, you would struggle to know that it is a protein bar, and would probably mistake it for a typical chocolate bar. Rated 5 out of 5 by Naomi025 from Best protein bar around!! No powdery texture, no artificial taste, no horrible after taste!! Could easily be mistaken for a chocolate bar, not a bad thing to say about this product, highly recommend!